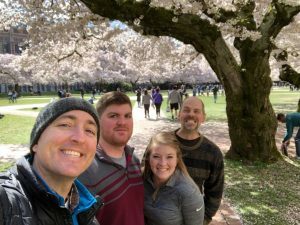 Posted on March 20, 2019 by Anna Tegelberg. This entry was posted in Whole U Program Information. Bookmark the permalink. UW Walk Week 2019 is officially right around the corner! Start off Spring Quarter strong by focusing on making small improvements in your day to day choices. 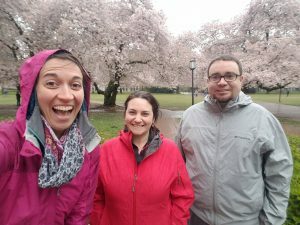 Setting aside 30 minutes to walk per day is not only physically beneficial, it also provides opportunity to be more mindful and reduce stress as well as appreciate the beauty of the PNW! 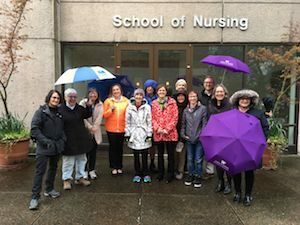 Although there are many reasons to participate in UW Walk Week, here are our top six. Setting aside time to walk with your teammates builds community at work! 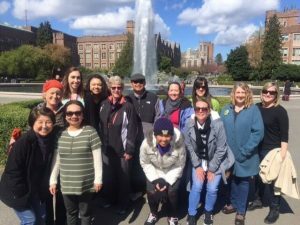 Not only will your team improve your collective mood, but walking gets creative juices flowing, and boosts brain power for improved productivity. 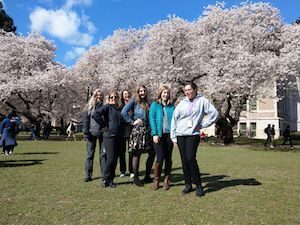 This time of year, the cherry blossoms across UW’s campuses are in bloom and just waiting for you to come awe in their beauty. As campus comes to life, witness it all out walking. Time spent walking is proven to reduce stress and help improve mood. Sometimes, all it takes is a step outside to refresh, renew, and hit the ground running with clearer thoughts. Weight-bearing exercises like walking help develop strong, healthy bones! Adults who walk regularly have better bone density throughout their lives, helping to avoid osteoporosis, fractures, and spine shrinkage. Getting a solid eight hours snoozing is one of the most important things you can do for your health. But sometimes that’s easier said than done. Research has found that regular walkers had longer and better quality sleep. Get in some steps to get your Z’s! 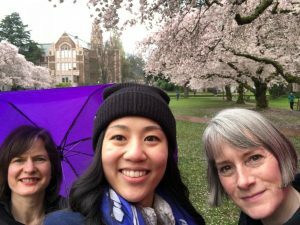 Don’t leave it just up to us, here’s what your colleagues have to say about UW Walk Week! In past years, we walked more than 2,200 miles. Sign up today and let’s see how far we can get in 2018! Whether you walk to work, at lunch, with your team, or at home, it’s getting out there that counts. You’ll soon begin to feel the benefits that walking at least 30 minutes a day brings to multiple areas of life. Walking is about more than physical fitness. 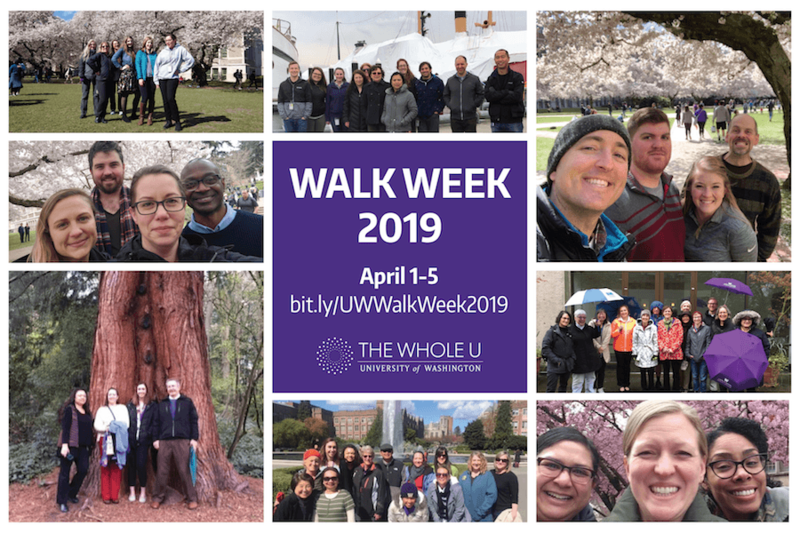 UW Walk Week is an opportunity to step out of the office with coworkers and Whole U ambassadors to make new connections, share in discoveries, enliven the mind, and energize the spirit at the start of a new season.